Ford introduces its next generation of Fusion Hybrid autonomous development vehicles. 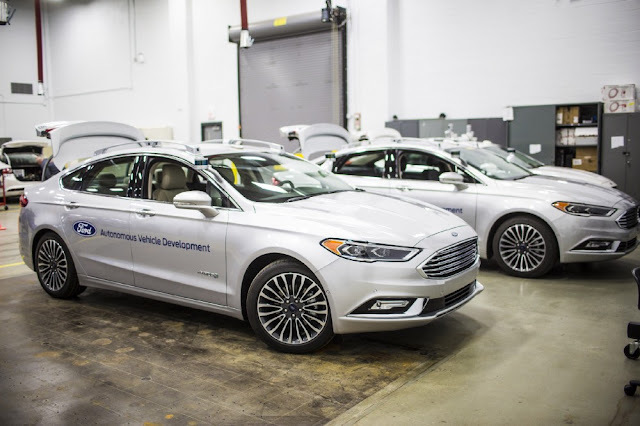 This new car uses the current Ford autonomous vehicle platform, but ups the processing power with new computer hardware. Electrical controls are closer to production-ready, and adjustments to the sensor technology, including placement, allow the car to better see what’s around it. New LiDAR sensors have a sleeker design and more targeted field of vision, which enables the car to now use just two sensors rather than four, while still getting just as much data.